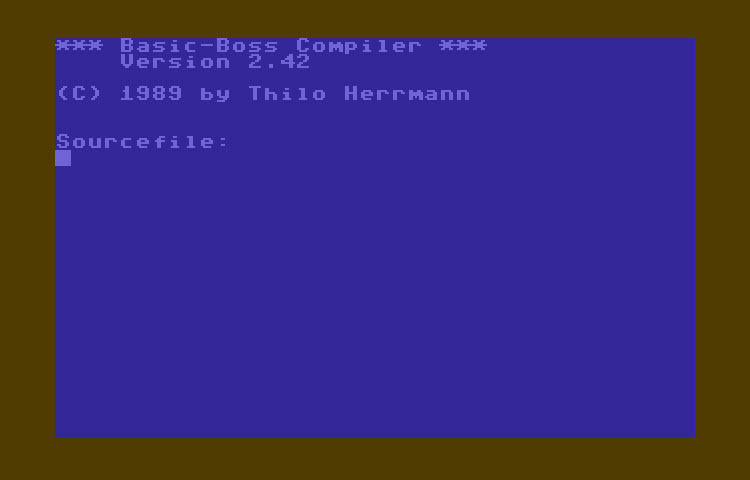 BASIC-Boss v2.42 released in 1989 by Thilo Herrmann. This is a very nice BASIC compiler that can convert your BASIC programs into machine language for speed boosts of up to 40x. This version has the demo programs included on the disk converted to English by Juan. Thanks Juan! Also included in the .zip is a PDF version of the manual.